The European Union approved funding for a water project set up by the current government, making it the largest single donation in this field in Somaliland. The European Union (EU) is to provide $27.5 million to fund water infrastructure projects to build, rehabilitate, upgrade and extend the water supply system’s at four major towns in Somaliland including Hargeisa. Mr. Hussein Abdi Dualeh, Minister of Mining, Energy & Water Resources, told local media at a press conference that he held in Hargeisa on Monday. He revealed that this project which his Ministry championed over a year ago and sought funding for it from the European Commission has finally received final funding approval. The funding award constitutes the single largest funding by the EU to improve Somaliland’s urban and rural water supply systems. The Minster indicated that four towns, namely Hargeisa, Burao, Erigavo and Wajale will benefit from this major EU initiative. Almost 74 percent ($21.3M) of the funds will be allocated for the replacement, upgrade and expansion of Hargeisa’s water supply facilities. The EU funded project will also provide funding to rehabilitate Burao water system ($2.6M), provide a new water supply for Tog Wajale ($2.0M), and expand the water supply system for the town of Erigavo ($1.6M). The project entails building new systems, rehabilitating existing ones, developing new well fields, drilling new boreholes, laying new pipe lines and erecting new storage facilities. The project also includes a soft component to provide capacity building for water agencies and the Ministry to improve operational support. In recent years due to rapidly growing population and aging water infrastructure, Hargeisa continue to suffer from severe water shortages. The existing water supply system was built by the Chinese thirty years ago when Hargeisa had a population of 150,000. Today Hargeisa is home to more than 800,000 – 1.0 million people. Mr. Dualeh said other ongoing and future water projects that is in the works by his Ministry includes the building of communal dams and the drilling of strategic boreholes for the pastoral communities to alleviate the effects of the ever recurring droughts. He said these ongoing and planned projects which he obtained or seeking funds for from international donors and aid agencies aim to improve the lives of ordinary citizens and their livestock by providing them access to safe drinking water. He added that in October 2010 he led a team to the Kenyan capital to meet with donors about Somaliland’s water shortages. The EU responded to his plea this past week by notifying him by email that the long awaited final approval to fund this project was reached in December. Mr. Dualeh has a Petroleum Engineering from Oklahoma University and has worked for well-established corporations and agencies before taking his current portfolio in his native country. He is considered a hard working Minister by Somalilanders and is highly respected in Somaliland. 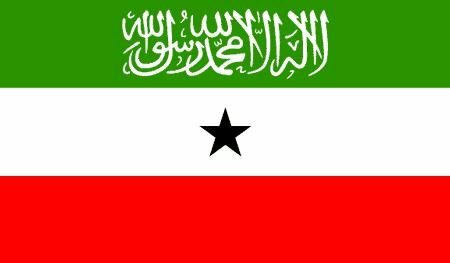 In 2009, the Ministry of health said more people were gaining access to clean and proper sanitation in Somaliland. It showed how 45-50 percent of the Somaliland population had access to safe waters compared with with 35 percent in 2000. The department however said it was not meeting international standards when it came to quantity. The average safe water available in the same period was 14-litres per person per day in the capital and 8-litres in rural areas. The United Nation recommends 20-litres/person/day.